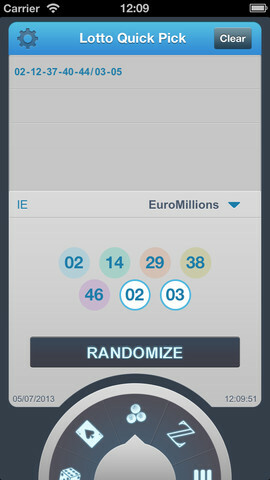 Our official app brings the six most popular RANDOM.ORG randomizers directly on to your iPhone or Android smartphone. We spent a lot of time getting it just right, so to cover the costs, we have decided to make some of the randomizers paid, i.e., you need to unlock each for a small fee – or unlock them all at once and get a solid discount. Once a randomizer is unlocked, you can use it as much as you like. The Coin Flipper contains a total of 100 coins from all over the world, which have been donated by RANDOM.ORG fans over the years. 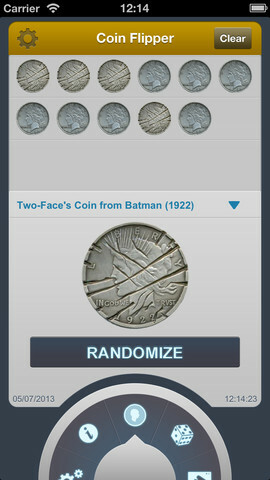 To flip a coin, simply tap the randomize button. To see the full coin selection, tap the little settings cog in the top left corner of the screen. Our favourite coins are the Ancient Roman ones and the US Challenge Coins. The history area shows your past coin flips. FREE Coin Flipper is unlocked when you download the app. You can use it as much as you like at no cost. The Dice Roller can roll up to six 6-sided dice in one go. Tap the number to select how many you want. The history area shows your past rolls. 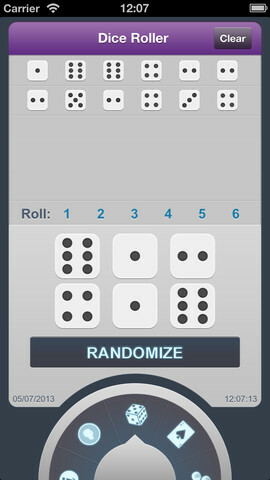 In-App Purchase Dice Roller is a paid mode that must be unlocked for a small fee. Once you've unlocked it, you can use it as much as you like. The Card Shuffler lets you shuffle decks of cards and turn the cards over one at a time. You can choose whether to include jokers or not in your deck by tapping the settings cog in the top left corner of the screen. 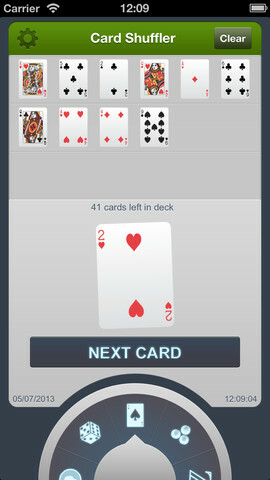 In-App Purchase Card Shuffler is a paid mode that must be unlocked for a small fee. Once you've unlocked it, you can use it as much as you like. Lotto Quick Pick knows over 150 lotteries from around the world. No other lottery quick pick (that we know of) uses atmospheric noise to generate your lottery numbers. To change your region, tap the little settings cog in the top left corner. If your lottery isn't included, you can contact us and we'll add it. In-App Purchase Lotto Quick Pick is a paid mode that must be unlocked for a small fee. Once you've unlocked it, you can use it as much as you like. The Integer Generator can generate true random numbers for any purpose you like. 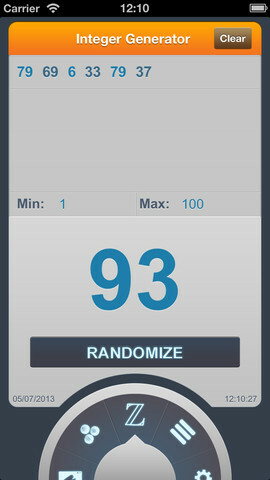 Simply enter your minimum and maximum values and tap the randomize button. In-App Purchase Integer Generator is a paid mode that must be unlocked for a small fee. Once you've unlocked it, you can use it as much as you like. 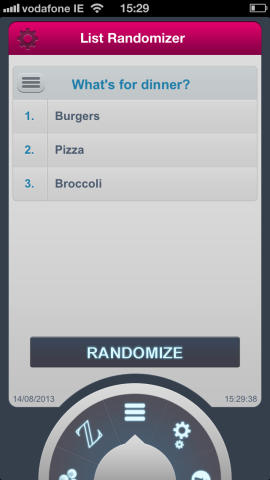 List Randomizer lets you make your own lists of items and randomize them when you like. Not sure what to have for dinner or which film to watch? List Randomizer to the rescue. Particularly popular with teachers who need to quiz students randomly in class. In-App Purchase List Randomizer is a paid mode that must be unlocked for a small fee. Once you've unlocked it, you can use it as much as you like.